Australia is famous for having all sorts of different animals that will likely kill you if you cross their path. It can be a scary place to be outdoors, and I’m sure this sixteen-year-old will agree. 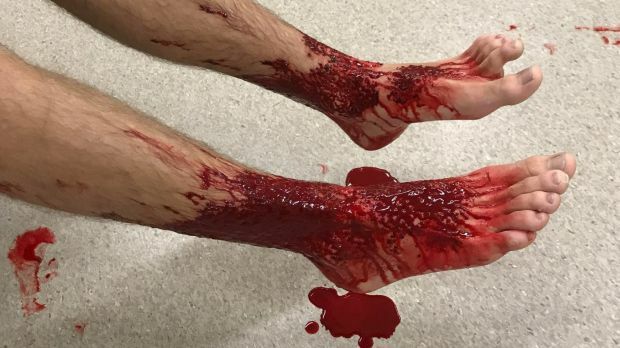 Can you imagine if you were to go for a quick dip in the ocean on a sunny, nice beachside day, only to discover that your ankles have been butchered and won’t stop bleeding? That is exactly what happened to sixteen-year-old Sam Kanizay on a sunny Saturday beach day in Melbourne, Australia. After a challenging football game, sixteen-year-old Sam decided to ice his legs in the cold ocean water. Something anyone would perceive to be harmless, but he soon discovered he had made a tremendous mistake. Sam was not sure what to make of the incident either “My first instinct was that I must have stepped on a rock,” he told Carolyn Webb at The Age. “But I realized that couldn’t have been it because it was evenly distributed over my whole ankle and foot.” Experts believe that he was unaware of the biting because of the cold water temperatures, which had gotten down to 37 degrees Fahrenheit. Sam’s family was unable to get his ankles to stop bleeding, and they immediately took him to the hospital. “As soon as we wiped them [his legs] down, they kept bleeding,” Jarrod told reporters. You can see photos of Sam’s legs below. Warning, it is a bit graphic! 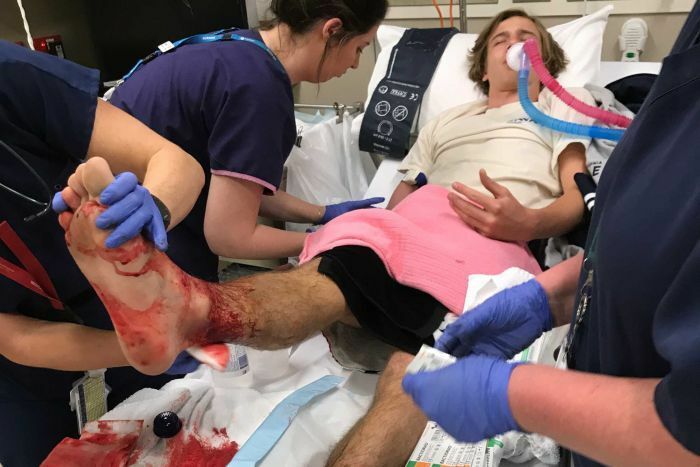 One video was taken by a Melbourne radio station, 3AW, showing that sea lice were taken from the beach the night of Sam’s accident. The sea lice are terrifying, but they are unsure whether or not his attack was sea fleas… However, Michael Keough told The Age that he does believe it is possible. According to Keough, “They’re scavengers who’ll clean up dead fish and feed on living tissue,” he said. 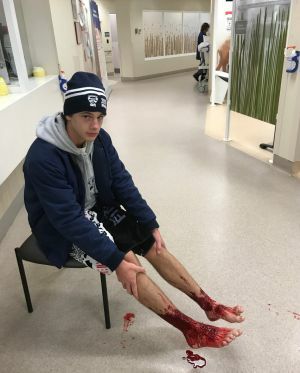 “They’re mostly less than a centimeter long, and so the bites they make are pretty small, and so that’s more consistent with pinprick size marks.” But another marine expert, Michael Brown, told Sunrise he believed they might be “jellyfish larvae”. “I’ve been doing this for coming on 20 years now and I’ve never seen anything like this,” he said.